Finding carpenter ants in your home in the spring can mean that a nest is present, especially when persistent numbers are found. If you find a swarm of winged carpenter ants indoors, that is a sign of an indoor nest. However, if you find just a few carpenter ant queens (winged or wingless) in your home, they probably just wandered into your home accidentally and no nest is actually present. If you are having problems with carpenter ants in your home, it is very challenging to eliminate them yourself. 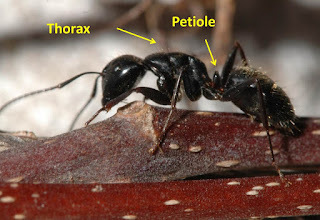 For control to be effective, it is necessary to deliver insecticide into the nest to kill the queen and the workers. Killing the foraging workers you see does not impact the nest. Baits can be effective for some ant problems. 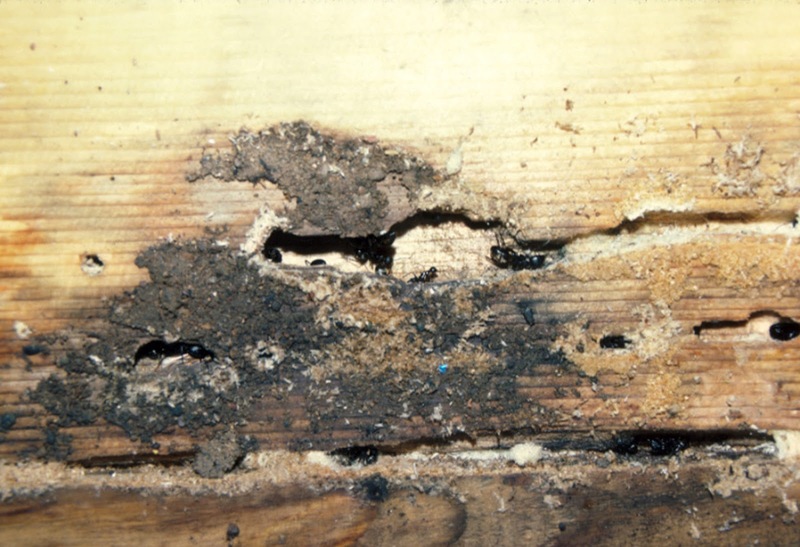 However, the ant baits available to residents are not sufficiently attractive or effective to successfully eliminate a carpenter ant nest. The best control for carpenter ants is to contact a licensed pest management service to treat the nest. An inspection is important to find the foraging trails and if possible the nest(s). There are several options for treating the nest. Many technicians use a non-repellant residual insecticide, such as Termidor, sprayed around the building’s exterior. The carpenter ants pick up the residue and take it back it to the nest where it gets spread through colony, ultimately eliminating it. 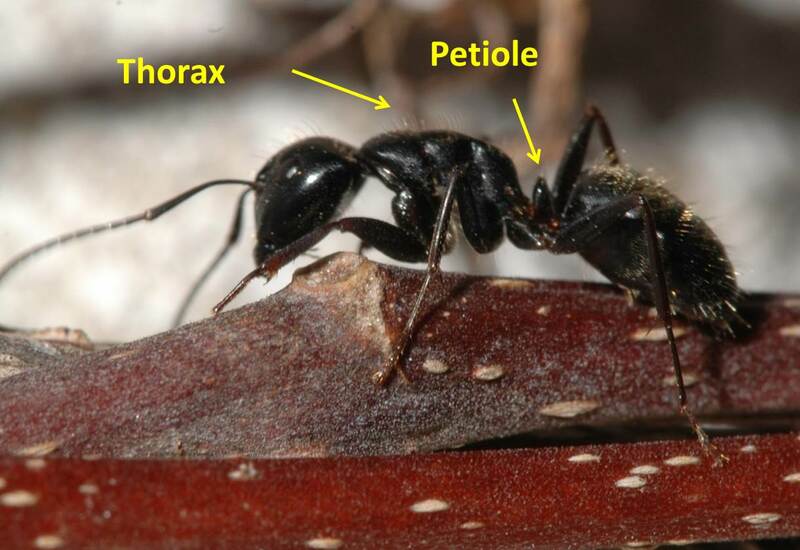 Technicians may also set out baits to control carpenter ants. They have access to a variety of baits and have the experience to use them. It is not unusual for technicians to use more than one bait to be successful. Remember that baits take time so be patient and allow carpenter ants to take enough back to control the nest. If the exact location of the nest is discovered, it can be treated directly with a dust. This may require drilling into walls or injecting dust through outlets. Once treatment has been applied, a technician needs to evaluate how successful the initial control was and whether any additional steps are needed. However, treating the entire house multiple times on a scheduled basis is considered excessive and less effective. Treatment should be targeted and as specific as possible. For additional information, see Carpenter ants.